GrandBox Review by Abby Hewes | Review of Grandbox! A few weeks ago, I posted about GrandBox, a monthly subscription box. Well, it was received by the kid’s paternal grandmother. And she liked it! and a couple of candy canes! And per my Mother in law, the TOPPER was the pics of the kids. 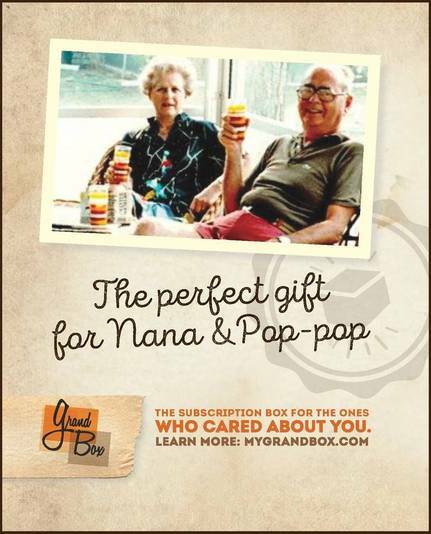 So if you are looking for a gift for the grandparent or other older relative in your life, check out Grandbox!